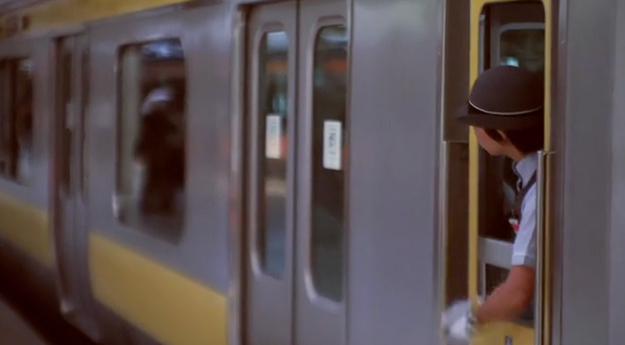 Japanese creative mind Takayuki Akachi brings us this stunning short film which contains mass amounts of human connection amongst the rush of day to day life on a train bound for Tokyo. If your a fan of the art of people watching like me, then I’ve no doubt you will get captured by the beauty of this piece. As a great traveller, Takayuki isn’t a stranger to public transport himself, I love how he has captured the chaos and rush of daily commuting in Japan. For me there is something infectious about watching a mass amount of individuals scatter around like little ants, each on a separate journey, with their own individual destinations. I love the culture in this short piece too, it’s very different to what we are used to here in England. Watching this really does make you want to get up and go experience the culture for yourself. Takayuki spends large chunks of his time travelling so he’s rarely short of inspiration, I for one can’t wait to see his future pieces. It’s evident that he’s more than deserving of the various awards he has won in the past.